Most People Use cell phone, but don't know how to fix a wet cellular phone if it is damaged. 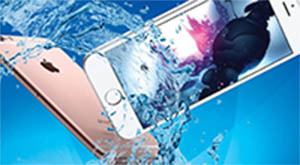 when you meet water-logged cell phone and want to save it, how to fix and repair it? you just do it as follows simple steps and measures, you will get big surprised, More important thing-this ways to avoid damages to the printed circuit board(PCB) of your cell phone. Remove the battery immediately: This is important so that current does not flow freely in the motherboard and do not just switch-off the handset. Just switching of the handset is not enough, you have to remove the battery. Dismantle your cell phone: Open up your cell phone carefully. You can see videos of dismantling method for your particular model on youtube! You may need opening tools as well as screw driver for dis-assembly. Dry the circuit board completely: The green coloured circuit board carefully and completely. You can use a hair drier or you can also dry it in direct sunlight. Just make sure you dry it completely! Also dry all the spare parts and components: You also need to dry the components as well as the body so that nothing remains wet. Be careful that you do not break the LCD as it is very delicate. Clean the circuit board: Clean the entire PCB with spirit or alcohol using a brush. This will prevent corrosion on the PCB. After you finish all above steps, you can re-assemable your mobile phone, then check all your phone switches on, if still have problem, you are not very lucky, you can try it again and charge your handset, if still the same, we suggestion you have to vist a cell phone repair kit centre. if you are not very professional, please don't fix it by yourself, or you will damaged it, when you meet phone which was water-logged, you'd better just rmeove the battery immediately and fix it at phone repair centers.